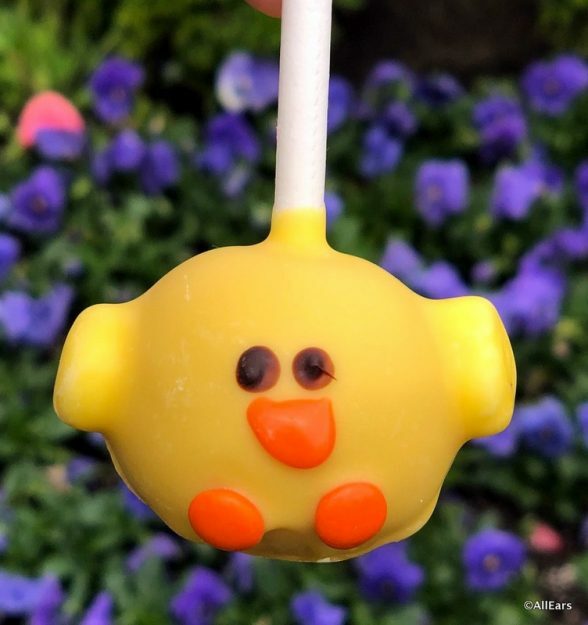 Spring has sprung, and Disneyland’s Downtown Disney is celebrating the new season with (what else?!) 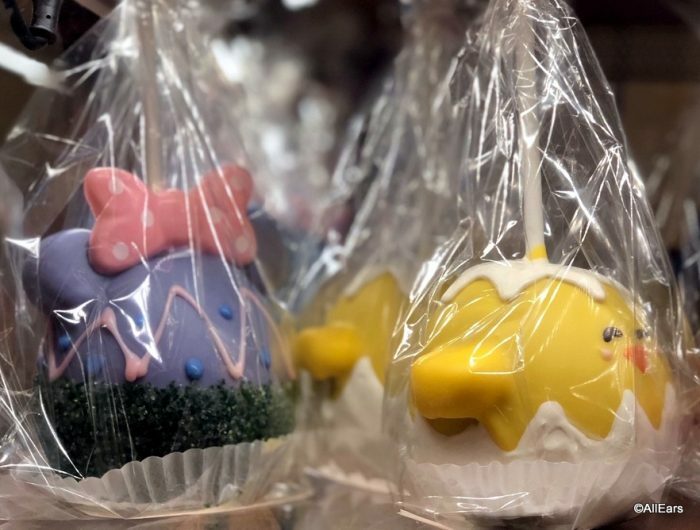 sweet treats galore at Marceline’s Confectionery!! 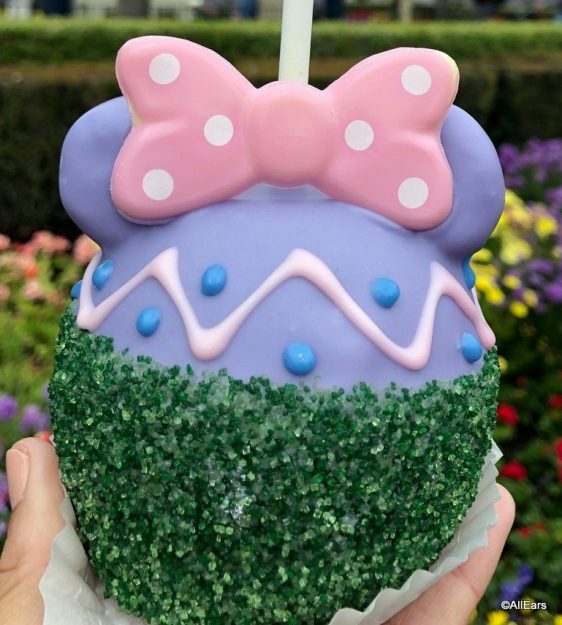 Candy apples always get the seasonal treatment, and this year there are adorable spring icons like newly-hatched chicks and Minnie bow-adorned eggs! Check out the details, including sprinkles and decorative icing. That blue background color is gorgeous, too! There’s a Minnie Mouse version, too. You’ll recognize it by that polka dot bow! Cake pops are another Disneyland confectionery staple, and they, too, have received the spring treatment — the spring chicken treatment in this case. 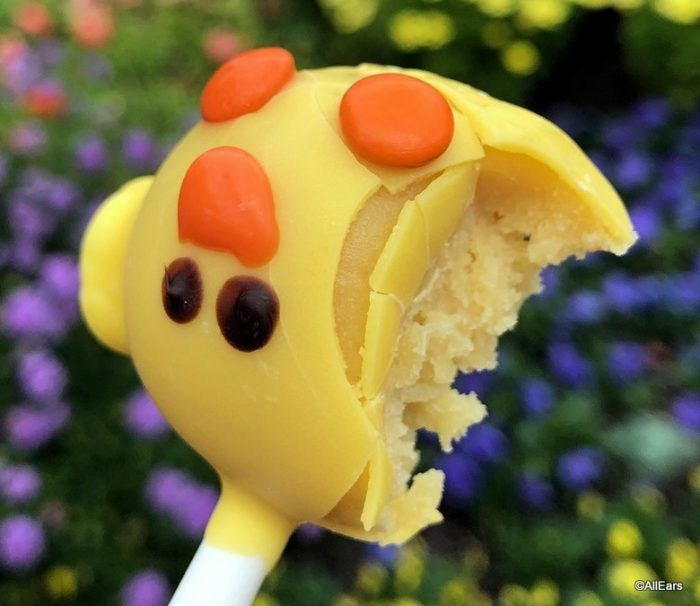 We are thrilled that spring is here — and just as excited to celebrate the season with goodies in all the Disney Parks! 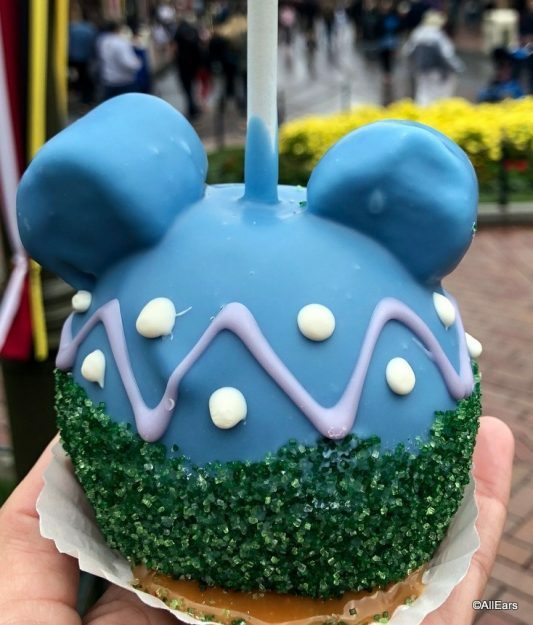 Check out Lots More Disneyland Info Here! 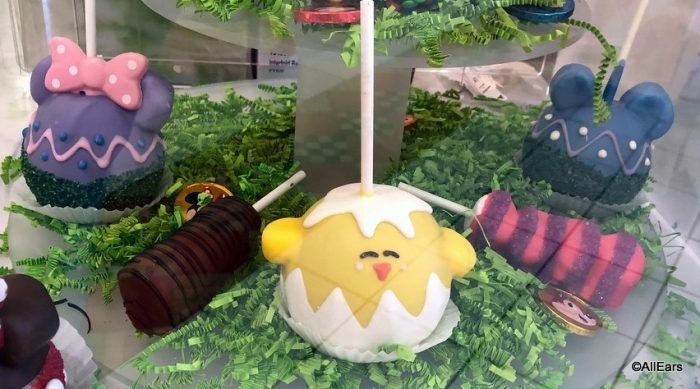 Which of these treats would you make your own? Tell us in the comments! Next PostNext First Look at Upcoming Star Wars ‘Galaxy’s Edge: Black Spire’ Book!